I'm a fantasy writer. I live in Vancouver, Canada, and have two wonderful children: a son and a daughter. Both have already flown the nest, so instead of children I now collect monkeys. I have over 300 monkey figurines in my collection. I’ve been making up stories with magic and swords since I was very young but I only started writing professionally in the 21st century. Before that, I was a computer programmer. Besides writing short stories and novels, I also work as a journalist for a local newspaper. I enjoy writing cultural pieces and personal profiles of the local artists. • Favorite genres: fantasy and romance, although sometimes I find delight in a serious mainstream novel or a cozy mystery I'm a fantasy writer. I live in Vancouver, Canada, and have two wonderful children: a son and a daughter. Both have already flown the nest, so instead of children I now collect monkeys. I have over 300 monkey figurines in my collection. • Favorite genres: fantasy and romance, although sometimes I find delight in a serious mainstream novel or a cozy mystery. • Favorite TV shows: it’s a pretty eclectic list, including Remington Steel, Babylon 5, Bones, and Murdoch Mysteries. This is the second story about Dinara and her pet shop, Rendezvous Pets. 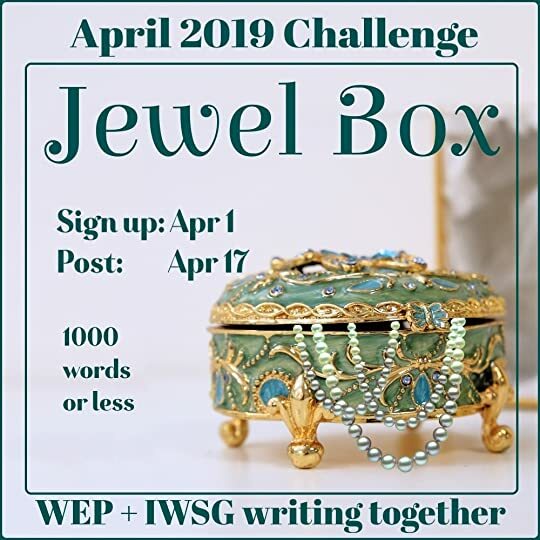 I wrote it in response to the April 2019 WEP Challenge. The action takes place on the space station Rendezvous, one of the biggest space stations in the galaxy. The shop provides pet care and grooming for the citizens of Rendezvous, as well as the station visitors. I understand why some reviewers don’t like this story as much as all the previous books in the series. I didn’t either. The other novels have left some hope for humanity. This one – it ends almost without hope. It is darker and sadder, bordering on t I understand why some reviewers don’t like this story as much as all the previous books in the series. I didn’t either. The other novels have left some hope for humanity. This one – it ends almost without hope. It is darker and sadder, bordering on tragic. As usual for this series, the story follows several characters, as they try to live their lives in the world where humans are second-rate citizens, existing under an ever-deepening set of restrictions. Bad people come into town and spoil it for the rest. The Others kill the villains in the end, but many good people suffer too along the way. And the restrictions become even more severe. At first, I wondered: why those rogues and outlaws don’t learn from what’s happened before. Upon consideration, I stopped wondering, because humans don’t really learn their lessons from history, do they? At least some humans don’t. There are always some arrogant, uncaring louts who think they’re better than everyone before them. They want power. They would surely succeed, where everyone else failed. So they push and hurt and cheat and rampage, until something pushes back. Hard. And as in all the wars, the innocent suffer as much, if not more, than the guilty. This book was a delight. It started slowly, and I wasn’t sure at first I’d read it to the end, but gradually, the book pulled me in. By the end, I got addicted to it. It’s quiet, and funny, and altogether lovely. Some moments, I laughed so hard, I couldn’t stop for a couple minutes. It delves deep into the human nature. The small English village it describes is a world in miniature, with people good and bad and in-between. Greed and kindness, arrogance and compassion, vanity and honesty – they are all on display in this tale. And all the hubbub in the novel happens because one of the village women, Barbara Buncle, wrote a book about her village and its people. Although she changed all the names, and published under a pseudonym, the people recognized themselves, their hidden passions and unacknowledged secrets, and an uproar ensued. Argh! I think I understand them, to a degree. I wouldn’t want anyone writing my true portrait and publishing it for all the world to see either. It’s a scary prospect: none of us is perfect, right? Barbara herself is a wonderful personage, naïve but wise. Drab and timid and mostly unnoticed herself, she sees people as they are. She started writing, by her own admission, to get some money (what an interesting aspiration for a modern writer! ), but she got sucked into her own story, into the world of her own creation. Like many writers, she liked it better than her real life. I enjoyed the book so much I’m going to read more of this writer. She published her first novel in 1923, and she died in 1973, but somehow, she had escaped my reading radar before. I never read her before this novel, and it is such a wonderful feeling to discover a new writer you’re looking forward to reading. I can’t wait. One thing I have to comment on here is the Samarkand of Miss Buncle’s book. In her fictional book, the naïve new author sends a couple of her village neighbors to Samarkand. For her, Samarkand represents all that was exotic and oriental. Arabs and Sheiks and stuff like that. But the real author of the novel, D.E. Stevenson, wasn’t as naïve or as ignorant, I hope. She should’ve known that at the time of her novel’s publication, in 1936, Samarkand was a part of the USSR. By 1936, all the exotic ambience had been stripped away from the ancient city by the bloody rule of Stalin and his reign of terror. I wouldn’t send my worst enemy to Samarkand in 1936. Other than this one black note about Samarkand, the book was pure joy. I want to end this review with a couple of quotes I can’t resist. As the village is up in arms to find the author of the book that ridiculed them so successfully it became a bestseller in England, Barbara’s faithful servant, Dorcas, worries about her mistress. 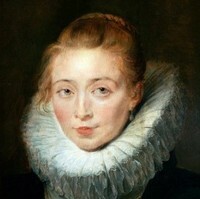 Dorcas thinks Barbara should stop writing and raise hens for money instead. Later on, Barbara sleeps and dreams of Copperfield – her imaginary town. When her publisher, Mr. Abbott, talks to Barbara about her book, he is very happy with the sales and the scathing reviews. We’d love your help. Let us know what’s wrong with this preview of Miss Buncle's Book by D.E. Stevenson. This was a romp, a caper along the Mississippi river in the alternative history America of the late 19th century. A history where hippos infest the Mississippi. A history where hippopotamus rider is a profession, and hippopotamus ranches flourish in This was a romp, a caper along the Mississippi river in the alternative history America of the late 19th century. A history where hippos infest the Mississippi. A history where hippopotamus rider is a profession, and hippopotamus ranches flourish in the South. The story is short (170 pages) and furious, paced like a sprint. Not much attention is focused on the characters, but overall, it was a fast and entertaining read. There are gunslingers and cart sharps and assassins and a number of bloody corpses. And of course, hippopotamuses. The end doesn’t really come with the last page. It feels more like half of a story that a full story, but I enjoyed it all the same. At least, the bad guy got his comeuppance, and the good guys won (sort of). It’s a nice and quiet book, an example of women’s fiction, but unfortunately, not the best example. The plot centers on a young woman, Libby, who after a series of traumatic events – her husband’s death in an auto accident and her young daughter’s se It’s a nice and quiet book, an example of women’s fiction, but unfortunately, not the best example. The plot centers on a young woman, Libby, who after a series of traumatic events – her husband’s death in an auto accident and her young daughter’s severe injury in the same accident – tries to reinvent herself as a goat farmer. Don’t get me wrong, I don’t have anything against goat farmers; in fact, I love goat cheese. My complaint about this book is that every serious problem Libby faces or faced in her life are left off the pages. Her husband’s accident – backstory, mentioned only briefly. Her daughter’s long and painful recovery after her injury – ditto. Libby’s own fumbling while she, an urban woman through and through, tries to adjust to the farming life, like goat milking and cheese making, maybe take a couple of paragraphs in the entire book. What is left on the pages is trivial. A conversation with a nasty old acquaintance. A visit to her daughter’s new school, where the girl got bullied and punched her tormentor. A campfire with a new friend. Shaggy hair and beard of a guy she just met. And of course, lots and lots of inner monologues, contemplative and occasionally agonizing, about parenting and being a good woman and her relationship with her late husband. We’d love your help. Let us know what’s wrong with this preview of The Lost Husband by Katherine Center. We’d love your help. Let us know what’s wrong with this preview of Lucky You by Carl Hiaasen. Don't even know why. Just couldn't read it. Nothing held my interest: neither the plot, nor the characters. Everything seemed blah. We’d love your help. Let us know what’s wrong with this preview of Scandal Wears Satin by Loretta Chase. We’d love your help. Let us know what’s wrong with this preview of Miss Wonderful by Loretta Chase. Not as lovely as the best books in this overall delightful series. I still love Daisy; she is her charming self, but she doesn’t really investigate anything in this tale. She is just along for the ride, as the corpses ‘fall at her feet’ as usual, and Not as lovely as the best books in this overall delightful series. I still love Daisy; she is her charming self, but she doesn’t really investigate anything in this tale. She is just along for the ride, as the corpses ‘fall at her feet’ as usual, and her fiancé Alec, the Detective Chief Inspector of Scotland Yard, conducts the investigation. We’d love your help. Let us know what’s wrong with this preview of Dead in the Water by Carola Dunn. We’d love your help. Let us know what’s wrong with this preview of Untouchable by Jayne Ann Krentz. We’d love your help. Let us know what’s wrong with this preview of Your Scandalous Ways by Loretta Chase. A place for the booklikers to meet and greet on GR, in case booklikes continues to have problems. Kyra wrote: "Hi Olga, it's nice to meet you!" Hi Olga, it's nice to meet you! Carol wrote: "Olga--did you see Frank Tuttle linked to your review? Thank you, Carol. I didn't see it before. Olga--did you see Frank Tuttle linked to your review? Genia wrote: "Hello Olga, thank you for the compliment on my reviews. I hope you enjoy them, even when they are scathing (perhaps even especially when they are scathing)." LOL. Yeah, critique is always more fun to read than praise, although I must admit I rarely write reviews for books I dislike. I tend not to finish them. Hello Olga, thank you for the compliment on my reviews. I hope you enjoy them, even when they are scathing (perhaps even especially when they are scathing). Thanks for the friend request, Olga! I look forward to discussing books with you. Thank you for the friend request I look forward to talking about books! Thanks for the request, and it's nice to meet a fellow daydreamer :) I'll be checking out your reviews too. Hi Olga. I have been comparing our libraries, and wow, we share many favorites. I have been reading your comments, and I agree that reviews are subjective. I am very passionate over my favorites, such as Wicked the Life and Times of the Wicked Witch of the West.